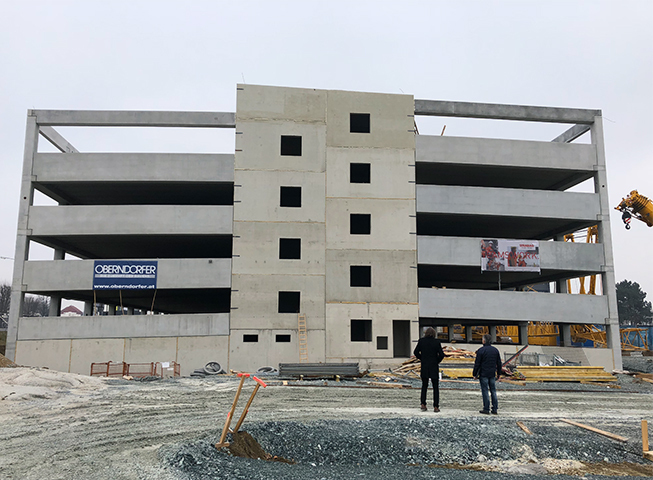 The first phase of the structural work is complete! The dismantling of the construction crane has already started. 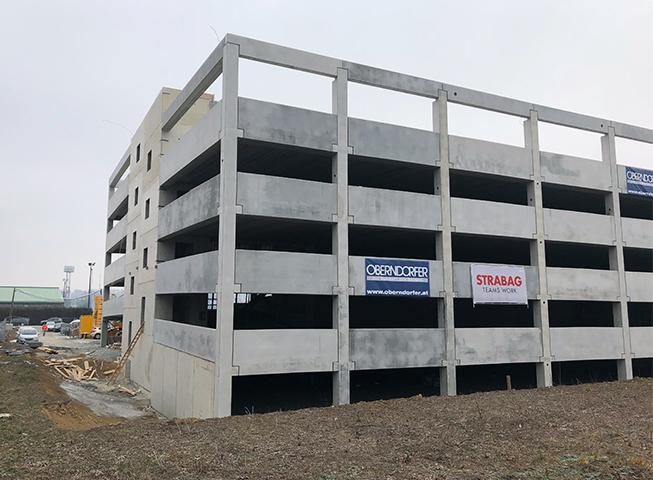 All installed supports, prefabricated balustrades, hollow planks and hollow walls form the completed shell of the first phase of the parking deck. The construction time lasted only four months. 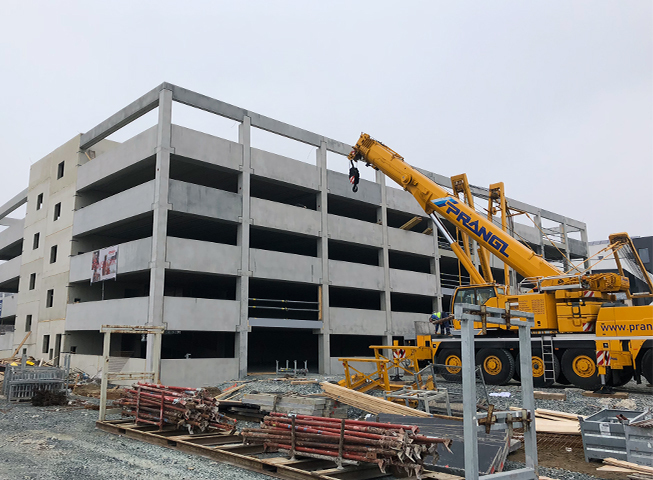 The sectional steel beams and lightweight purlins that form the roof construction have already been manufactured and can soon be assembled on the construction site. In the area of the open parking lots, the construction of the underground for the future traffic lane started.